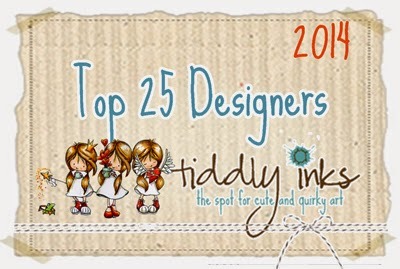 Well, I didn't make the Tiddly Inks DT but I was in the top 25 and I know Christy had a truly hard time choosing only 7 from the 100+ entries. The competition was daunting but I know I will try again the next time around because I love her images, as you can clearly see. This time I was commissioned to make a card for a special little girl who loves the color blue and music. I picked this Wryn image called Eat More Cake. Isn't she adorable? I printed her and colored her with my copics and then trimmed her to fit onto the die cut. I die cut a couple of music notes and added some glue and then dipped them in glitter. I stamped the sentiment onto a mini wavy pennant die and then tucked that under the focal image. I then added some flowers from my stash. The inside is also personalized with her age and a sentiment just for her. Stay tuned because there is some colorful news on the horizon. 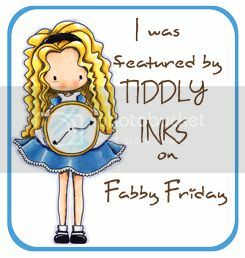 I may not have made the Tiddly Inks DT but another door has opened because I entered, and I am looking forward to the adventure. 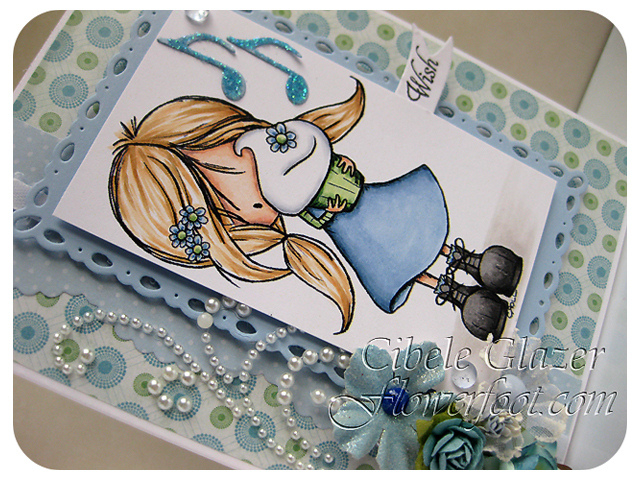 I will be entering this card in the Tiddly Inks Anything Goes Challenge this week. Be sure to check it out.